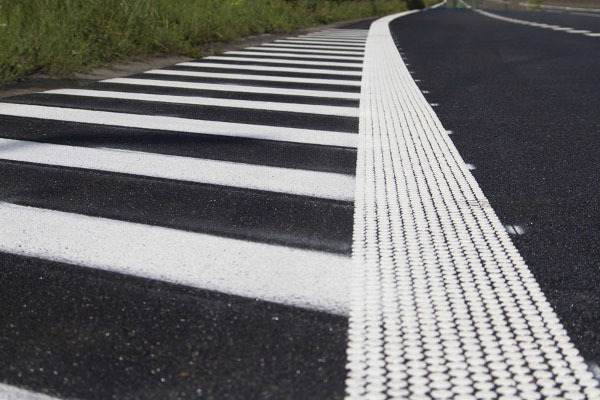 Thermoplastic is state approved marking material considered to be one of the most durable traffic markings available for asphalt applications. 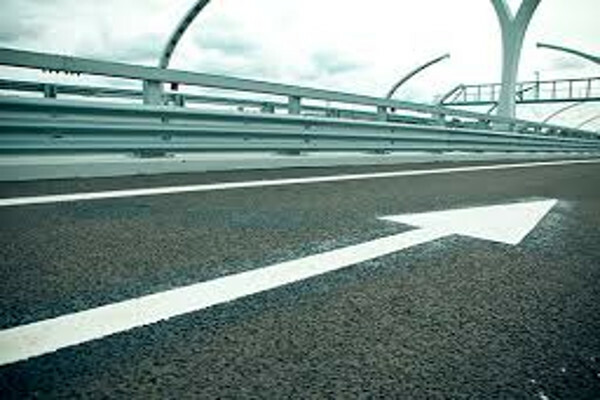 We are one of the few striping striping companies that have the equipment and capabilities of installing these markings. Typically this type of marking material is only installed on the roads mainly in high traffic areas such as Stop Bars, Cross Walks, and for any other auxiliary markings. However it is common to see them at universities, hospitals, and entrances/exits in shopping malls. Typically you can expect to get 4 to 7 years out of this material with very high reflectivity rates. The cost of this material is much higher than paint (about 5 times) but the look, performance, and zero maintenance costs make it more desirable. MMA or Methyl Methacrylate (information is on the “Durable Marking Page”) is another very durable product that lasts about as long as thermoplastic but is much less costly.. 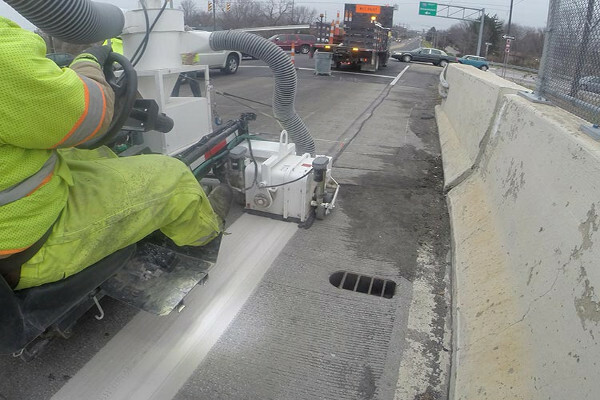 This product is put down at less mills (less is better since snow plows will not hit it with their blade) but cures like plastic and can be applied to concrete or asphalt. It has been approved in some states but not Ohio yet. It can be used on any private parking lot or road and is VOC compliant. These markings should be given consideration when durability expectations are higher than what standard paint can offer.